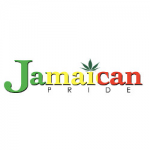 Jamaican Pride - St Anns Bakery. Free US delivery. 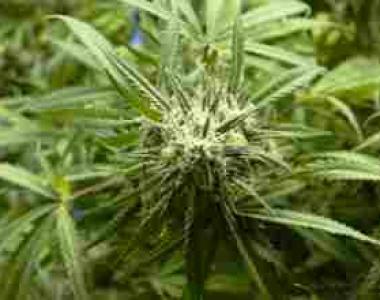 St Ann's Bakery is an Indica Heavy cross of OG Kush and Durban Poison which produces a bushy plant which can yield an amazing 600g/m2 indoors, and astronomical THC levels of up to 26%. St Ann's Bakery is a highly colourful strain whose light green calyxes are swathed in purple leaves and high-lighted by orange pistils and covered with a sheen of white resin-exuding trichomes. Its aroma is of sweet citrus with a deep, earthy muskiness and a flavour that is sweet and herbal. This bushy, compact plant works well with Sea of Green growing methods. The effect that this strain produces is is that of an intense cerebral high accompanied by a very soothing, physically relaxing body stone. St Ann's Bakery has therapeutic applications for the relief of stress, anxiety, as well as general aches and pains.